NOVAK DJOKOVIC may not have enjoyed the dominant year on the tennis courts that rocketed him to the world number one spot in 2011 but the awards keep coming. For the second year running, the Serbian was named the European Sportsman of the Year by AIPS (International Press Association) Europe. Djokovic won the 2012 Australian Open and the end of year ATP Tour Finals to solidify his position as the world’s best male tennis player. He topped the poll ahead of Olympic champion Mo Farah and Formula One champion Sebastian Vettel. Andy Murray, winner of the US Open and Wimbledon Gold, made it into the top 10 but never threatened Djokovic for the accolade. The Serb, already a winner of the coveted award in 2011, accumulated 39 votes, 10 more than Farah, with Vettel a further point back. 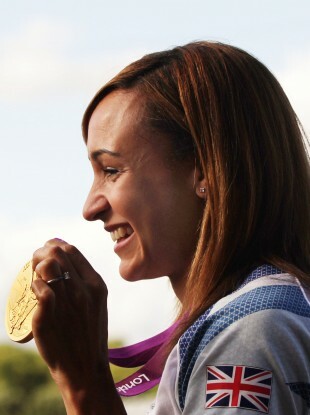 Jessica Ennis, the Olympic Gold Medallist heptathlete, won the European Sportswoman of the Year prize. With 62 votes to her credit, Ennis polled ahead of Norwegian cross country skier, Marit Bjoergen who received 23 votes, and tennis player Viktoria Azarenka from Belarus with 17 votes. It was the 30th annual poll conducted by AIPS Europe, formerly the European Sports Press Union. There has only ever been one Irish winner of the award – Stephen Roche in 1987. Email “Djokovic and Ennis win top European Sportsperson awards for 2012”. Feedback on “Djokovic and Ennis win top European Sportsperson awards for 2012”.